I originally saw this idea on a friend’s Instagram, where they had run across a flyer with words at the bottom that you could tear off. It simply said “take what you need.” I knew I had to recreate this and spread the joy around my university’s campus, and hopefully the larger Tucson area. So, yesterday I created the flyers and today I posted them everywhere I could think of. 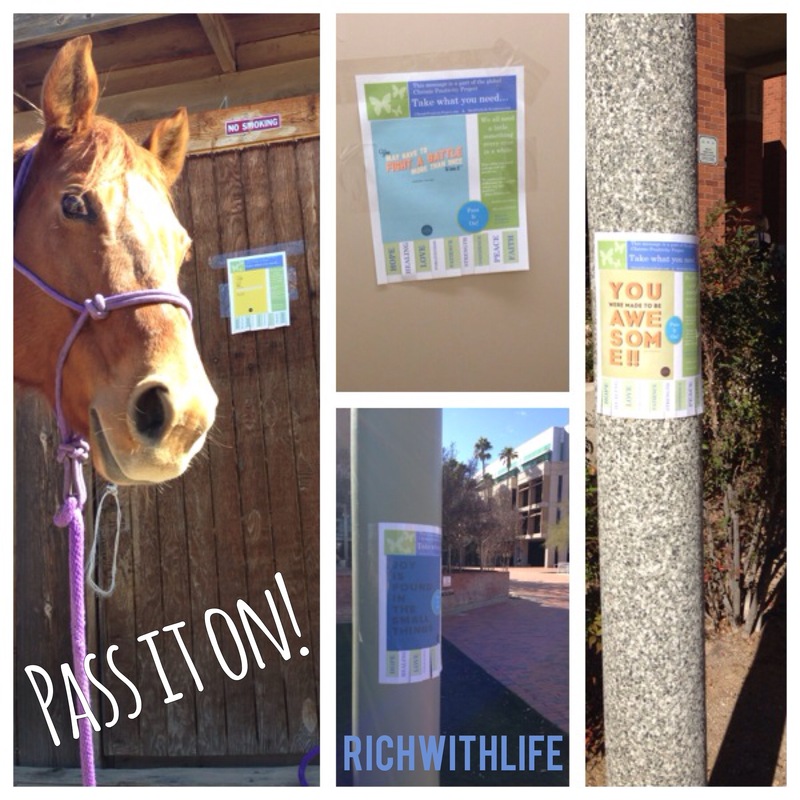 Bathroom stalls, posts, elevators, crosswalks, flyer boards, windows, the library, my workplace, my barn, etc. just to name a few. There is so much to the strength of feeling empowered. If you are feeling down and someone tells you they believe in you, or gives you a few words of encouragement, it’s amazing the difference it can make. 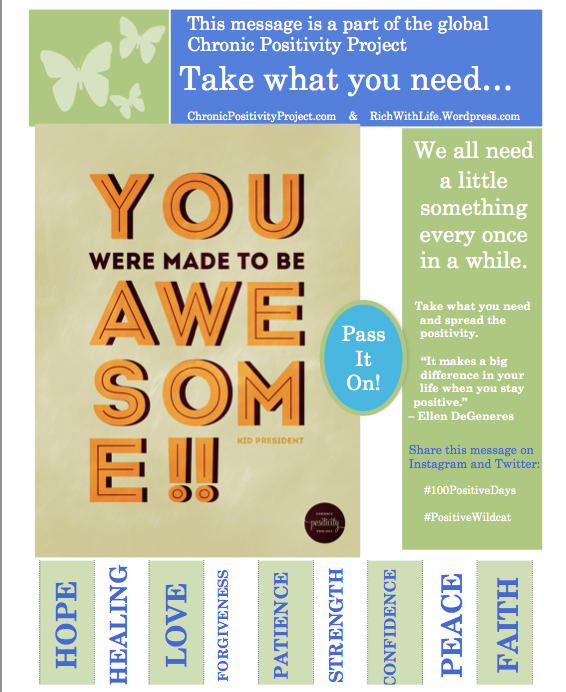 Obviously we can’t be in touch with everyone who needs those encouraging words, so I thought these signs would be a great way to reach the people who need them most. Sure, lots of people will walk on by and not grab anything. But the point is that those who need it, just might grab some “patience” or “strength,” stick it in their pocket, and pull it out when they need it most. And that, can make a world of difference.